This book is published at an opportune time in the history of prosthetics. Particularly, recent technological advances in actuation, microelectronics, batteries and fabrication methods have fueled the emergence of upper extremity prostheses with far greater movement capability than was previously possible. With the ability to provide a large number of possible movements, such prostheses offer great promise for enhancing the ability of amputees to better perform the activities of daily living. Use of this enhanced capability, however, requires in most cases a user interface that enables efficient and intuitive access to the multiple movements offered by these prostheses. Thus, leveraging advances in motor functionality in upper extremity prostheses is fundamentally dependent on corresponding advances in user interface and control. The appropriate availability of possible movements and the nature and capability of the control interface are strongly coupled. Introducing additional movement capability will in many cases impose a greater control burden on the user. Although neural interfacing has the potential to supply a rich set of control information, the amount of control information is likely (for the foreseeable future) to be far less than that employed within the native limb. A single-degreeof- freedom hand, for example, is limited in movement capability, but is relatively easy for an amputee to control. A twenty-degree-of-freedom hand, conversely, has a great deal of movement capability, but may be difficult for an amputee to dexterously control. Thus, the extent of appropriate movement capability of the prosthesis is highly dependent on the control interface approach. Understanding the balance of movement capability and control burden requires knowledge of advances in both areas and additionally requires knowledge of appropriate assessment tools with which to measure functional efficacy. This book provides an excellent overview of all these areas of research. Specifically, the book describes a number of recent advances in the design of prosthetic fingers, hands and arms, which provide considerably greater movement capability than previously possible. The text additionally describes recent work in which peripheral neural implants are used in an effort to provide motor control of a multigrasp hand prosthesis and to provide some degree of sensory information to the user. Finally, the development of dexterous prostheses and associated control methodologies must be conducted in the context of functional assessment. As such, this book also includes important and expert treatment of methods for the functional assessment of upper extremity prostheses and describes such assessment as applied to multigrasp prosthetic hands. This is an exciting and promising time in the history of upper extremity prostheses. The functionality of such prostheses has changed relatively little over the past several decades. 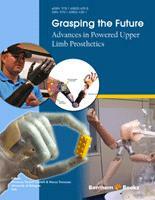 The technological advances presented in this book promise to change substantially the capability and functionality of upper extremity prosthetics and by extension, promise to substantially improve quality of life for upper extremity amputees. The loss or the congenital deficiency of a human upper limb part represents a serious physical and psychological trauma, apart from having an evident and considerable restriction on personal autonomy in everyday living. Rehabilitating an amputee with a proper device allows the patient to recover (part of) the lost autonomy and the sense of psychophysical integrity and thus to enable his/her reintegration in domestic, working and social environments. The prosthetic intervention is a complex process which involves technical aspects and clinical issues strictly dependent on the amputee to be treated. Prosthetic rehabilitation is therefore carried out by a multidisciplinary team including physicians, technicians, therapists and psychologists which operates with the aim of providing the amputee with the device and the services that best match his/her different requirements. Prosthesis developers study different solutions with the aim of optimizing the prosthetic system performances, its usability, wearability and maintenance. Therefore, also in the design process many key factors of different nature are of primary importance. Due to many reasons, the technological level of the powered artificial arms for upper limb amputees has always been fairly poor so far if compared with that of other analogous systems (e.g. lower limb prostheses, assistive robots, humanrobot interfaces, biomedical robots…). However, there is no doubt that in the recent years the upper limb research stimulated the most exciting developments in prosthetic technology. Indeed, new terminal devices (articulated hands, sensorized hands, partial hands for finger amputation…) and novel articulations for the artificial arm (wrist and shoulder with one or more degrees of freedom, elbow joint) have been recently proposed (and some of them are also commercially available); a new concept of the socket has been developed; the control hardware, software and firmware are in continuous progress for the implementation of more and more effective control options for the wearers as well as for an easier management of the electronic boards. Finally, also the clinical treatment of the patients is improving: the most important novelties of the last years are the surgical technique known as Targeted Muscle Reinnervation for an enhanced myoelectric control of the artificial arm, the implantation of nano-sensors on nerves for the development of neuroprosthetic systems and the prosthesis osteointegration for the direct suspension of the prosthesis to the residual limb. A number of internationally renowned public agencies and industries are investing a great amount of financial resources. For instance DARPA (Defense Advanced Research Projects Agency of the USA government) that recently invested tens of million dollars in two ambitious programs (involving many research teams) intended to face the increased incidence of amputation injuries being seen in the ongoing conflicts in Afghanistan and Iraq. In particular the prosthetics industry is trying to exploit the fruits of the Revolutionizing Prosthetics Program RP2009, which is probably the most outstanding project in upper limb prosthetics so far. On the other side, the wave of renewal of upper limb prosthetics systems is dragging also many other manufacturers and research institutes, which recently presented interesting enhancements of their own products and prototypes. The proposed e-book aims at illustrating the most significant milestones provided by the scientists in this new prosthetic research era and also sheds lights on new trends, future developments and on the most challenging issues of the fascinating field of rehabilitation robotics. In Chapter 1 the most recent technology innovations are reviewed with the analysis on the critical issues involved in the design of upper limb systems. Chapter 2 focuses on clinical applications for the treatment of partial hand amputations with the new prosthetic solutions commercially available (Pro-Digits by Touch Bionics, SC). Chapter 3 presents the basic principles at the basis of the neural control of a prosthetic device, with the results of an in vivo test performed in Rome (Italy). In Chapter 4 the milestones of prosthetics outcome measurements are presented, aiming at defining standardized protocols to evaluate prosthetic systems and prosthesis wearers. Functional and psychological evaluations are matters of Chapter 5, where the analysis of a patient wearing a new multi-grip commercial hand (Michelangelo by Otto Bock, GE). The last two chapters of the e-book are devoted to the presentation of technologies that can have a major impact in the next future for the upper limb prosthetic filed. In Chapter 6 the design guidelines for the development of anthropomorphic robotic hands are outlined, with the presentation of a bio-inspired hand with soft pads and compliant joints. Chapter 7 finally presents the framework for the development of virtual reality systems useful for the simulation of upper limb functioning, both for the development of new high-level prostheses and the training of patients in the first stages of their prosthetic rehabilitation. The Editors wish to gratefully acknowledge both Dr. Claudio Mazzotti for his support in editing the chapters and all the Reviewers for their contribution to guarantee a high scientific standard.